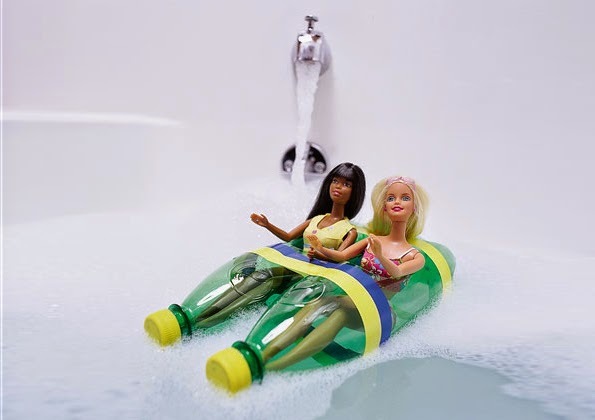 Maiko Nagao: Upcycled barbie pool/bath time fun~! Upcycled barbie pool/bath time fun by Disney Family Fun~! Two 500ml bottles and a bit of tape later and you’ve got a luxurious catamaran. Barbie and her bf are ready to cruise in style!Check out this tutorial here.